Many thanks to @ryanhawkins_ for his guest post for FantasyYIRMA. If you would like to feature your article please contact FantasyYIRMA@hotmail.com. Guest Post: O Goals, Goals! Wherefore Art Thou Goals? Just like Juliet pleads for her Romeo, Tottenham fans, including myself, are pleading for goals. Spurs have excelled in most other areas this season: they have the most shots per game in the Premier League (18.7), the second-highest possession percentage (59.3%), and the second strongest defence (WhoScored). But they sit 7th in the table with a particularly worrying statistic plaguing them: only Crystal Palace and Sunderland – both in the relegation zone – have scored fewer goals thus far. This void must be filled. And soon. Much of this void was a result of a certain Gareth Bale. Lose a player who scored 26 goals in all competitions – a record that most strikers would envy – including 21 in the Premier League and you’ve got yourself a sizeable hole in your team. Villas-Boas’ summer signings have yet to fill Bale’s abnormally large shoes, and it’s costing the team. Following the sale of the Welshman, Villas-Boas became reminiscent of a child in a candy store, using his absurd budget to select the tastiest treats he could get his hands on. These came in the form of 7 new signings who drained Daniel Levy’s pocket of almost £110 million combined. Despite these acquisitions, Spurs have scored just 9 goals in 11 league games – 3 of which have been penalties. Some attribute this to the massive upheaval that took place at the club and claim that the team needs time to gel together. But we are almost a third of the way through the season and when you have a team battling for the top 4 who have hit the back of the net a mere 9 times, questions must be asked. Another cause for concern is Tottenham’s place in Europe, with all 3 of their domestic league defeats having come after a Europa league match mid-week. Tottenham’s depth of squad has allowed Villas-Boas to rotate his team for these games so fatigue can hardly be a factor. However, constant squad rotation can cause an upset in the team’s chemistry, which could be playing a role in their difficulty to score. This is particularly relevant to the four attacking positions, for which Villas-Boas has yet to find the most effective combination of players to fill those roles. Combine this with Bale’s departure and their underperforming summer signings, and Spurs have a sticky situation. Watching Tottenham play last season was a joy: they were arguably the most exciting team in the league, particularly on the counter, and the sight of Bale plummeting down the sideline or pummelling a 30-yard screamer past a helpless keeper will be engraved in many minds. But this season, the spark has dampened: the passing is slower and less fluid, and there appears to be less cohesion amongst the players. Only when Eriksen linked up with Sigurdsson and Soldado against Norwich have Spurs really come to life this season. It is this lack of cohesion that has also left Soldado an isolated figure up front. Not only has he been lacking the sort of service from the wings that he thrived on at Valencia, he has also been provided with limited opportunities to burst through a defence onto a through-ball. This is typified by the fact that Spurs have had the least number of offside calls against them in the league, which illustrates the lack of will, and perhaps ability, to play those delicious killer passes that Luka Modric perfected. It’s also intriguing that, of the top 4 goal-scorers of last season, only one – Jermain Defoe – remains in Tottenham’s first-team squad: we all know about Bale, Clint Dempsey was shifted out to Seattle, and Emmanuel Adebayor is being forced to train with the reserves. With their new replacements failing to fire, Villas-Boas is running out of ammunition: and it’s showing. However, Villas-Boas summer goodies do have the potential to turn Tottenham’s season around: Eriksen is composed and has shown flashes of creativity; Capoue and Chiriches bring with them defensive solidity and an acute awareness of the game; Lamela is improving and his potency was seen in glimmers of brilliance against FC Sherriff; and Chadli is a physical presence who showed promising signs in the opening games of the league. It is the hope that these signings, after finding their form and fitness, will give Soldado more service and will notch up a few goals themselves. As the statistics show, the root of the problem doesn’t lie in Tottenham’s lack of attacking, but in their inefficiency in front of goal. And if he wants an efficient, clinical finisher, A.V.B only has to twist his handsome features 180 degrees from the field to see one of the most prolific strikers in the league warming the bench: Jermain Defoe. So it’s not all bad news for Spurs, who sit above City despite scoring 19 fewer goals, and who have the personnel available to start putting a finishing touch onto the numerous chances they create. Who will provide this much-needed spark is uncertain, but whoever it is certainly has to step up before another English playwright picks up his bloody quill and writes a five-act drama in a language nobody understands. Agree/Disagree? 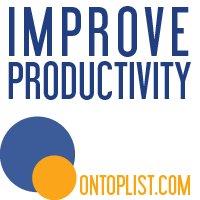 – get involved in the comments section below and let us know what you think. I’m Ryan Hawkins, writer and editor of The Goal Line: a website that brings you a unique, flavoursome insight into the world of football. I am an Australian Spurs fan residing in Saudi Arabia and have dedicated my gap year to combining my passion for football with my journalistic zeal. Although The Goal Line is in its infancy, I guarantee you regular articles on teams, players, matches, and all things related to the beautiful game that you and I love. Interested in having a read or joining the team? You can find me on Twitter (@ryanhawkins_), Tumblr (thegoalline.tumblr.com), or via e-mail (thegoallinefeature@gmail.com). It’s just so darn simple! Posted on 14 Nov 2013, in Player Selection and tagged AVB, fantasy football, Gareth Bale, Premier League, Spurs, tottenham. Bookmark the permalink. 6 Comments. To be fair, there were decent signs throughout the Newcastle game. If it weren’t for that blasted octopus Tim Krul who pulled out the performance of his career, we could’ve been 5 up. There were other factors of course, but that is the most glaring. I feel the best combination at this point is Sigurdsson and Townsend on the wings with Eriksen as No. 10. Lamela could also slide in for Townsend in the near future – dramatically lowering our shots per game, no doubt. Sandro has impressed and should start the next game, which would make Paulinho and Dembele fight for their places a bit harder. I’m sorry but I think you have your rose-tinted specs on. Spurs last season were not a joy to watch, we played the same dull football with the only exception of a Gareth Bale ‘get out of jail’ card to save us. The season before we played exciting football. I’m no AVB hater, in fact, I stand by him completely. I’m jut hoping we show the kind of attacking intent that we did in the second half of the Newcastle game from now on. Point taken. We have had to put up with a fair amount, haven’t we? 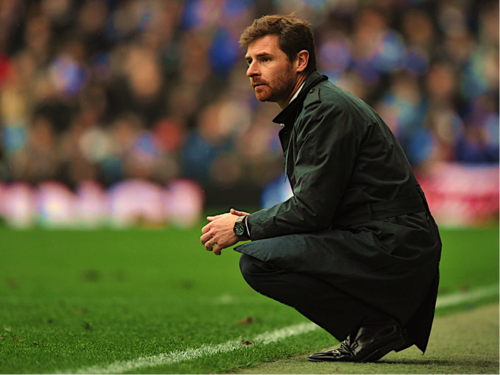 I, too, stand my AVB. For now, at least. I agree that some of our performances at the Lane were below par last season, but I would argue that they were more entertaining than this season. Often the games would spark into life in the final quarter of match (i.e. Gareth Bale scoring last-minute goals), and keep in mind we also beat City, Arsenal, and Everton at home, which is no easy feat. But you’re completely right that AVB has yet to get us going at home this season. The Newcastle game was a shambles and the atmosphere at WHL has been flat for most of the season. Although our away form has been good, we’ve still only scored 4 goals in 5 games so that’s a bit of a worry.